3HP, 1800RPM, 100C frame (metric), 28mm shaft diameter, 208-230/460V, TEFC, w/epoxy encapsulated windings and potted conduit box. 3HP, 1200RPM, 112C frame (metric), 28mm diameter shaft, TEFC, 208-230/460V, w/epoxy encapsulated windings and potted conduit box. 3HP, 1800RPM, 145T/56HZ Frame, 208-230/460V, TEFC, conduit box 12:00 position, .875" shaft diameter, w/epoxy encapsulated windings and potted conduit box. 3HP, 1800RPM, 145TC/56HZC frame, 208-230/460 volt, TEFC, .875" shaft diameter, c-face mount, Conduit box 12:00 position, w/epoxy encapsulated windings and potted conduit box. 5HP, 1800RPM, 184T Frame, 208-230/460 Volt, TEFC, Conduit box at 12:00 position, 1.125" shaft diameter, w/encapsulated windings and potted conduit box. 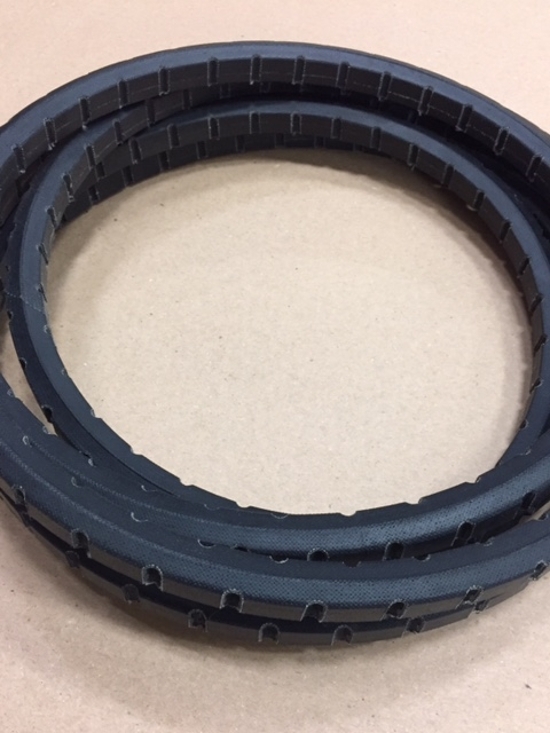 Bestorq double sided V-belts for picker applications. Notched belts also available. Comes in the following sizes plus more upon request. AA148, BB158, BB172, BB158N, BB172N.